We Use Only Durable Extra thick .35 mils polyvinyl. This material is rugged and extreme weather changes will not curl or break this tag. Our screen printed inks are fade-proof and weather proof. 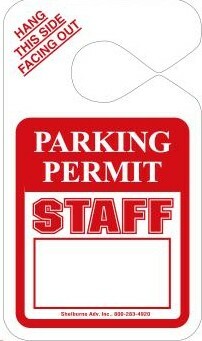 Staff parking tags are not numbered, but can be for an additional small charge.